We love a good a road trip. It’s our favourite way to explore new destinations, especially now that we travel as a four-pack. We love the freedom that road trips provide. The freedom to start when we want, stop when we want, and go where ever we want. On our recent trip to Ireland, we spent two weeks driving a big circle around the emerald island, starting and ending in Dublin. 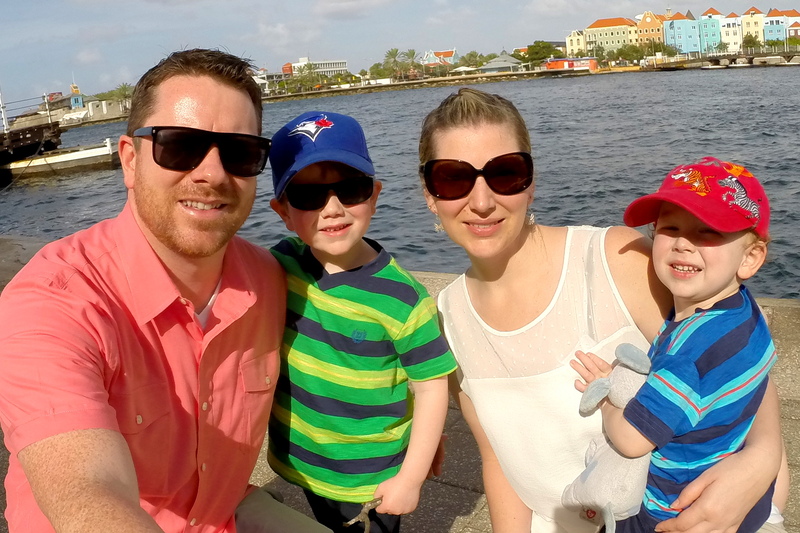 It was an epic adventure that has become one of our favourite experiences with our boys. 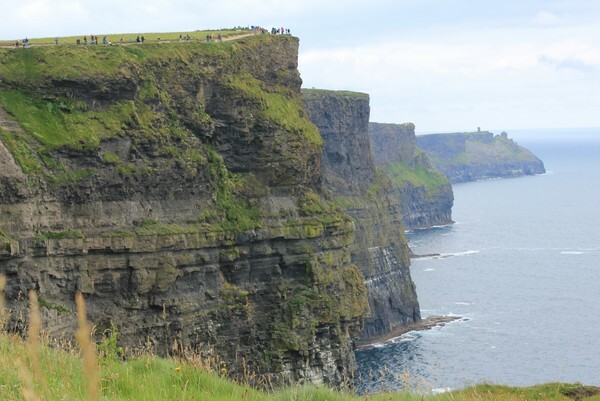 Today, we want to share the highlights from our Ireland road trip. After a few days in Dublin (here are photos from our time in Dublin), we picked up a rental car at the Dublin Airport and headed south, towards the city of Cork. 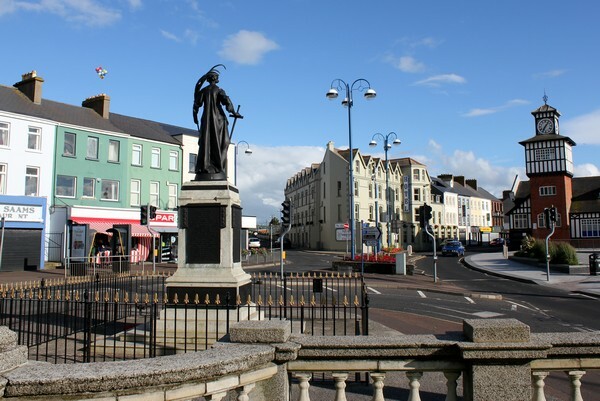 We had originally planned to take the main highway that connects Dublin to Cork, but we got twisted around in Dublin and ended up on the coastal highway that passes through Wicklow and Arklow. Dublin is not the easiest city to navigate and the map we had was terrible. Plus, we were just getting the hang of driving on the “wrong” side of the road. 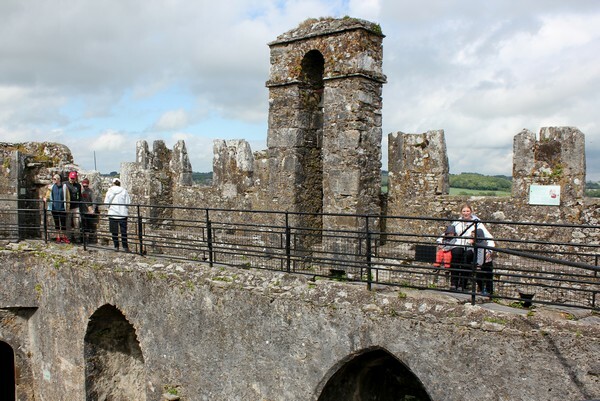 The plan for the day was to visit the Rock of Cashel, a popular tourist attraction located in Cashel. 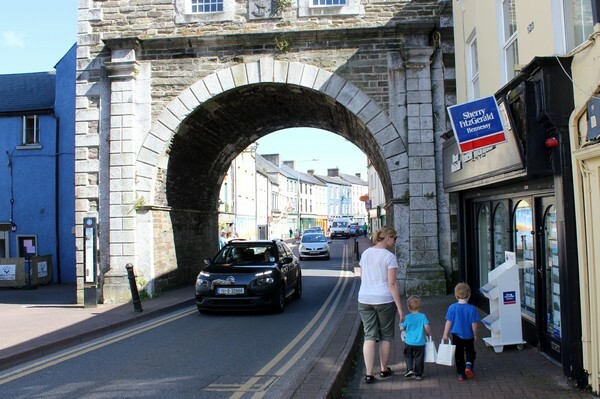 It’s a logical stop for anyone traveling along the main highway that connects Dublin and Cork, but when we found ourselves on the wrong highway, we had a decision to make. 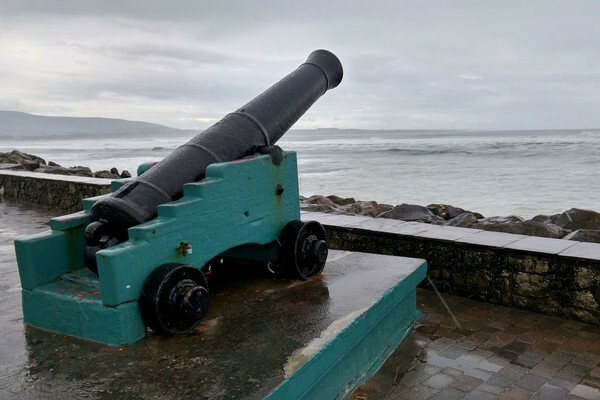 It was raining quite heavily that morning, as it does in Ireland, so we decided to skip the Rock of Cashel and take our time driving along the eastern coast instead. 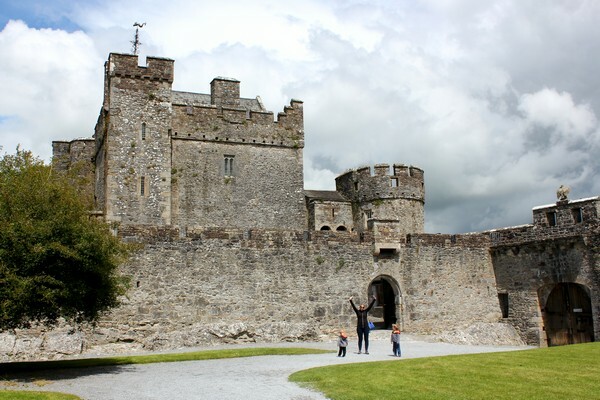 It was a gamble, but we planned to check out the Rock of Cashel on our way back up towards Limerick. 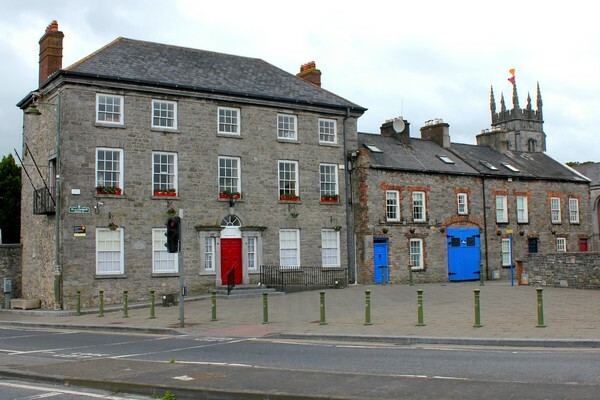 Our first stop on the Ireland road trip was the town of Enniscorthy. The rain had finally stopped so we decided to stretch our legs and find a pub for lunch. 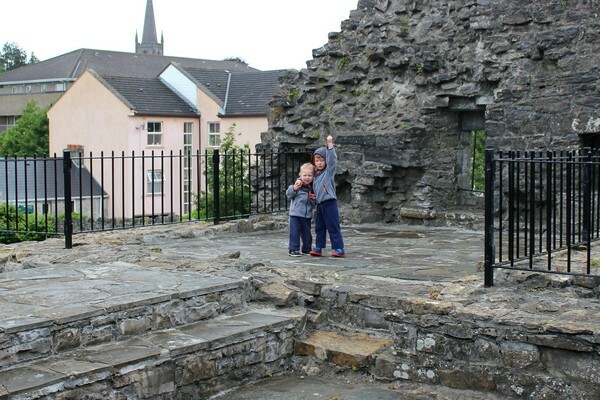 While wandering the streets of Enniscorthy, we stumble on this beautiful castle, appropriately named Enniscorthy Castle. 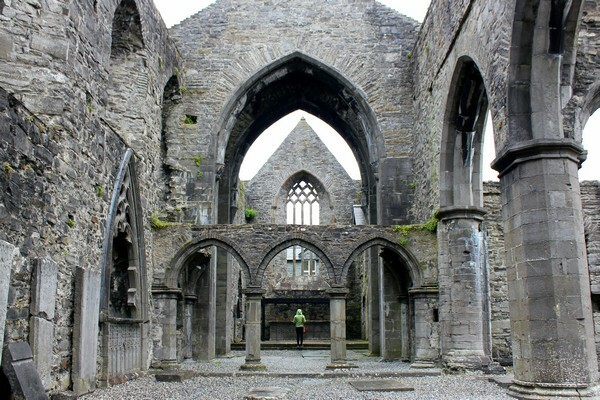 We love the medieval stone architecture and heritage buildings found in small Irish towns. Apparently this castle dates back to the 12th century. How cool is that? I know it’s common place in Europe, but, as a Canadian, I find it fascinating to walk around a town that has buildings that are over 800 years old! What’s more fascinating, at least to me, is that most local residents don’t even notice these historical buildings anymore. They’re just a part of the daily backdrop. 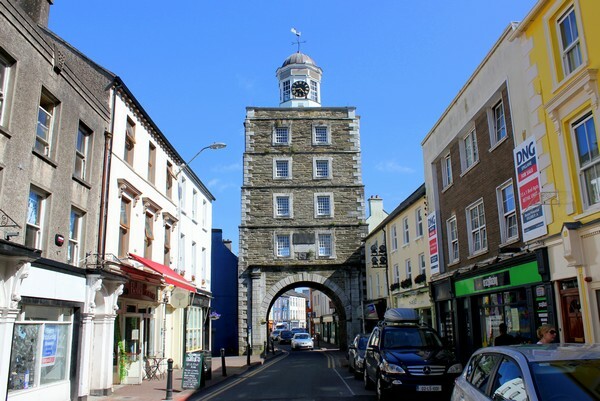 After Enniscorthy, we continued south and stopped at Youghal, a seaside resort town in County Cork that sits on the estuary of the River Blackwater. 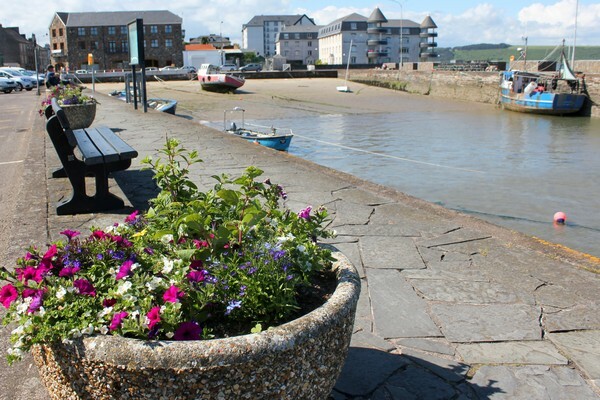 It’s a quiet little town with several historic buildings and monuments within its ancient town walls. 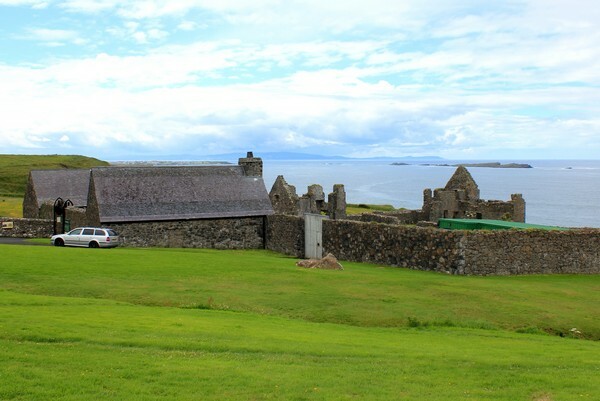 It has been designated as an Irish Heritage Port by the Irish Tourist Board. 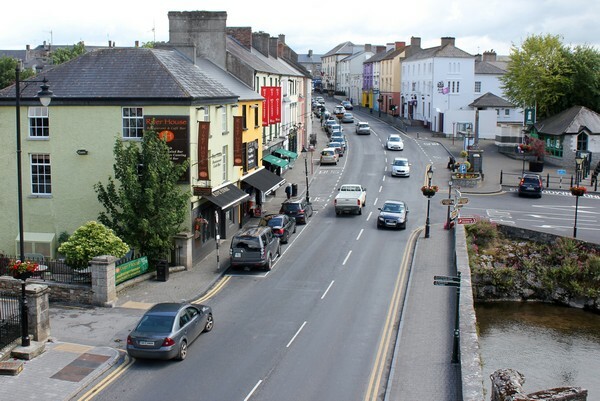 From Youghal, we continued west towards the town of Blarney, our final destination for the day. We chose to stay at the Blarney Hotel Golf Resort because we wanted to stay in the country, away from the busy city streets of Cork. We also wanted a hotel that had a swimming pool so the boys could have some fun after a long day in the car. It was the right call. 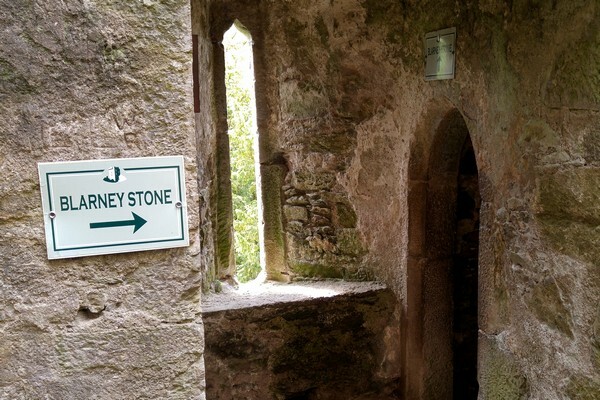 An added bonus is that the hotel is only a 5 minute drive to the world famous Blarney Castle. 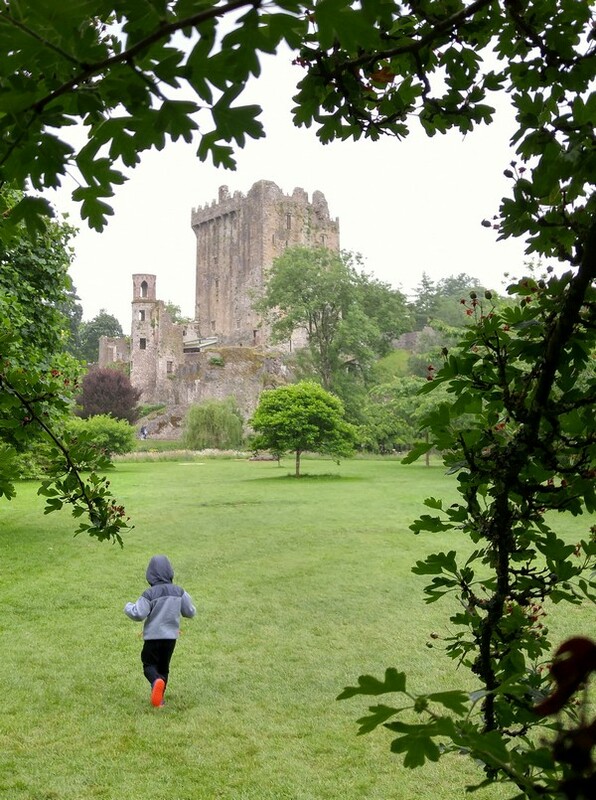 The Irish weather was on full display during our visit to the Blarney Castle and Gardens. It was overcast when we arrived, it poured rain as soon as we entered the gardens, then is was hot and sunny by the time we reached the top of the castle. Then, just as we were about to leave the gardens, it began to pour rain again. There’s a reason why Ireland is so green! 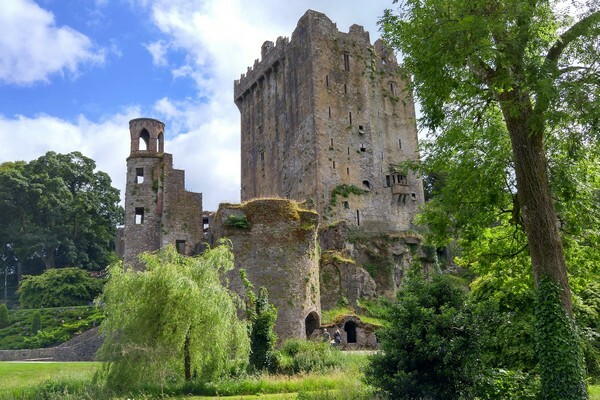 Related: Blarney Castle – is it worth visiting? 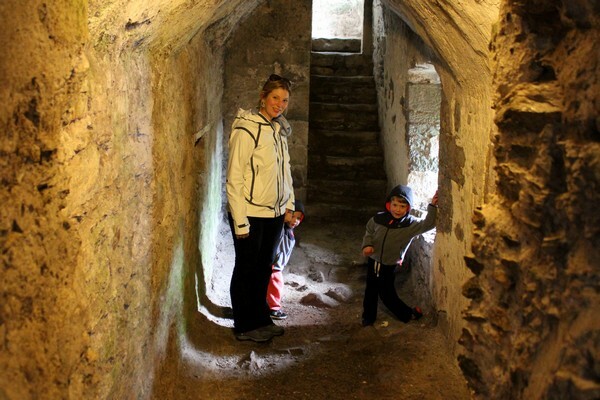 The boys loved exploring the spooky castle and walking up the old windy stone stairs. 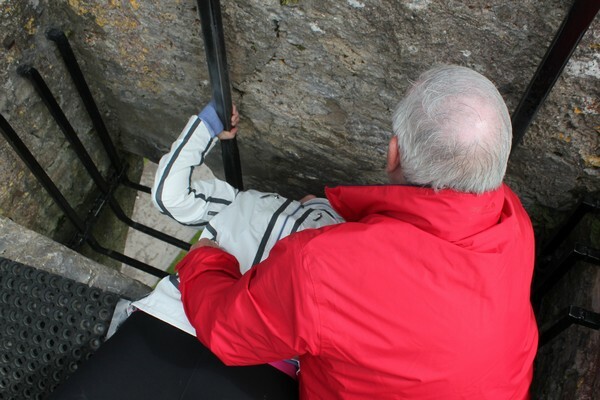 And, of course, Nicole kissed the Blarney Stone. This is Braydon unknowingly doing the obligatory ‘look in the distance‘ Instagram pose. 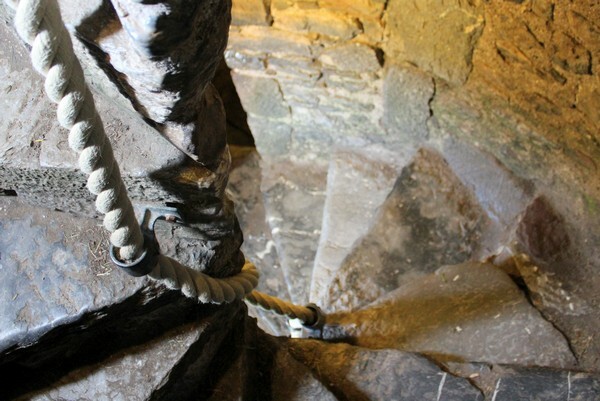 Family travel tip: We were told by a few readers that bringing young children to the top of Blarney Castle was too dangerous because the staircases are too tight and narrow, but we didn’t have a problem at all. It’s quite high though, so we kept a very tight grip on their hands. 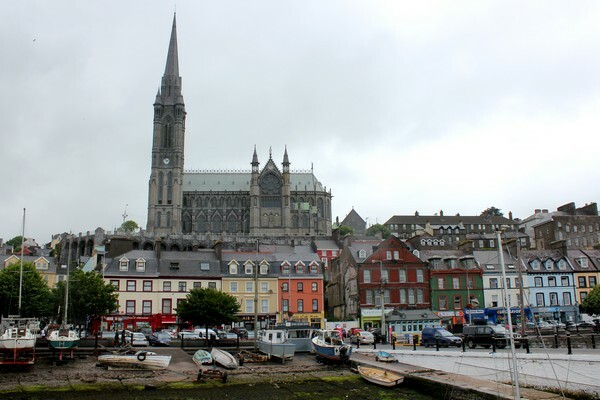 We spent two nights in Blarney so that we would have enough time to visit Cobh, a touristy seaport town on the south coast of County Cork, about 30 minutes drive southeast of Blarney. 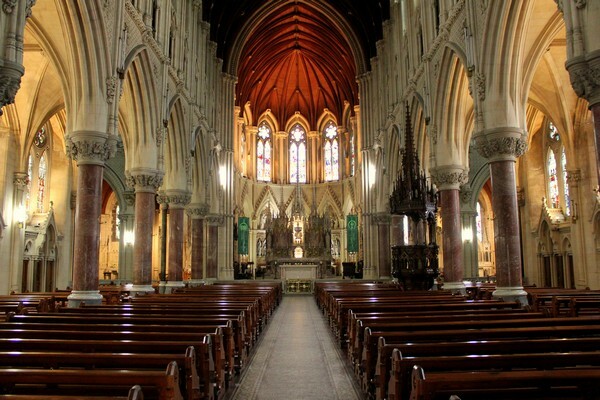 The Cobh skyline is dominated by the impressive Cathedral Church of St Colman, usually referred as Cobh Cathedral, one of the tallest buildings in Ireland. A notable fact that the city promotes quite heavily is that the legendary RMS Titanic departed from Cork Harbour in 1912. 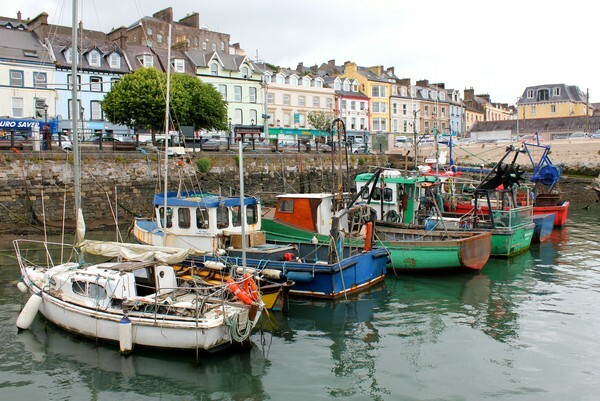 Cobh is also home to Ireland’s only dedicated cruise terminal, so it sees plenty of tourist action during the summer months. 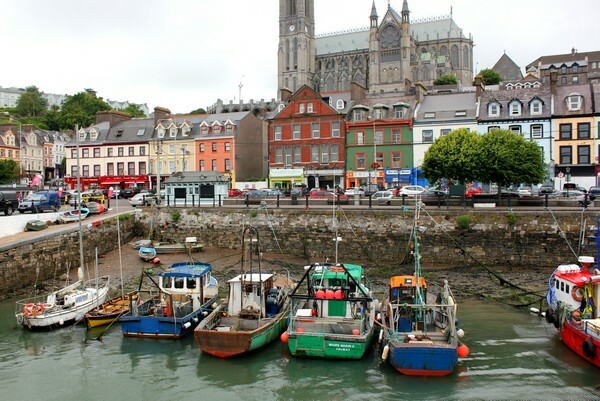 During our visit, we hopped on a little train tour that took us to Cobh’s main attractions. 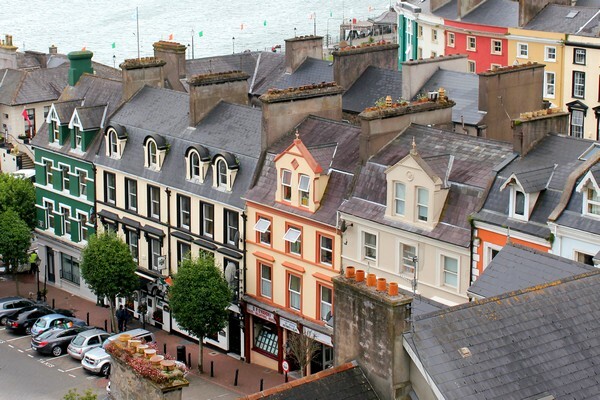 It’s a cute seaside town that’s definitely worth including on any Ireland road trip. As you can see from the photos below, it’s quite photogenic with it’s colourful buildings and boats. 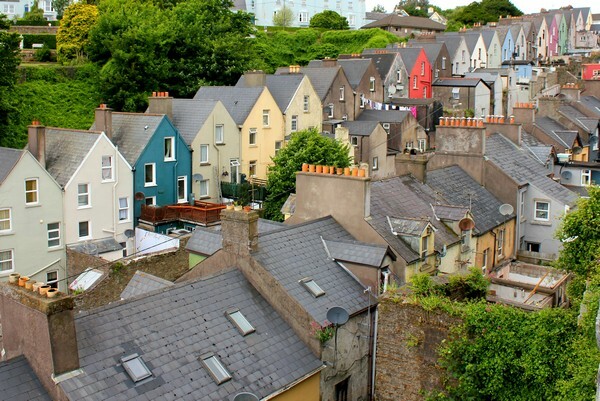 They call this row of colourful houses the ‘Deck of Cards’. 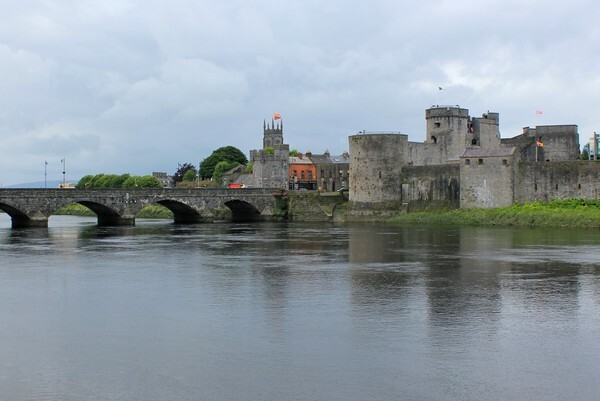 We left Blarney and drove north, towards Limerick. We made the decision to skip the southwestern coastal region because it would have meant many hours of driving each day. 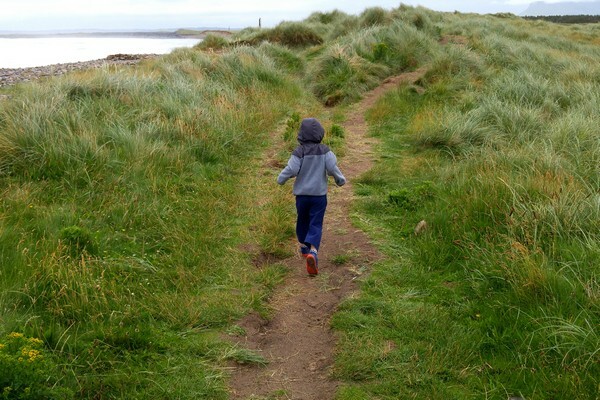 If we weren’t traveling without our boys we probably would have spent more time driving the southern section of the Wild Atlantic Way, but asking them to spend 6-7 hours a day in the car is too much for them at this age. 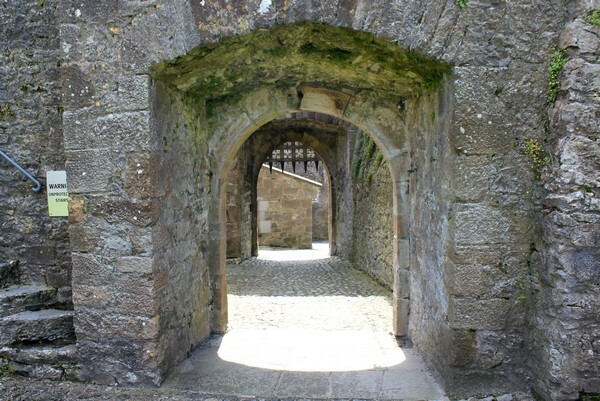 Instead, we drove north towards the Rock of Cashel. We wanted to make up for missing it on the way down to Blarney. 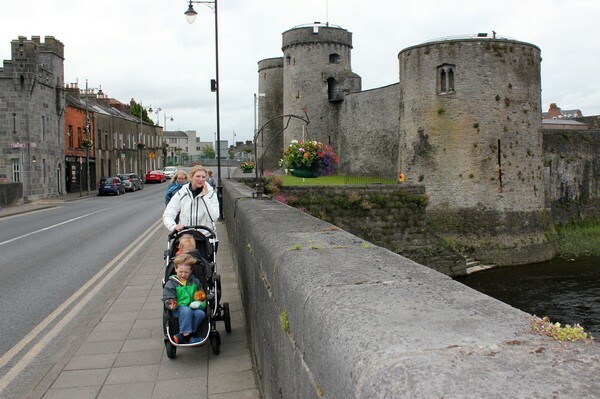 On the way, we stopped in the town of Cahir to have lunch and check out Cahir Castle. 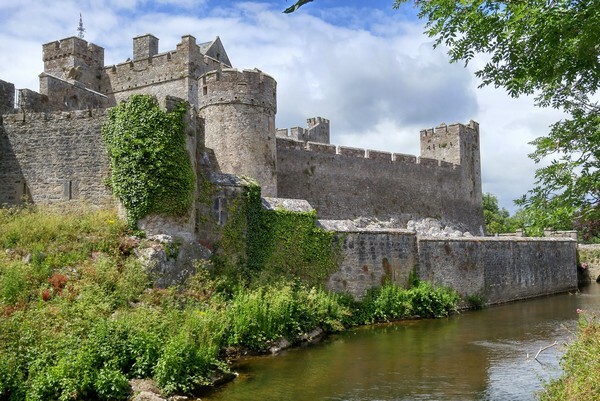 We were pleasantly surprised by Cahir Castle and didn’t understand why it’s not high on the list of top tourist attractions in Ireland. 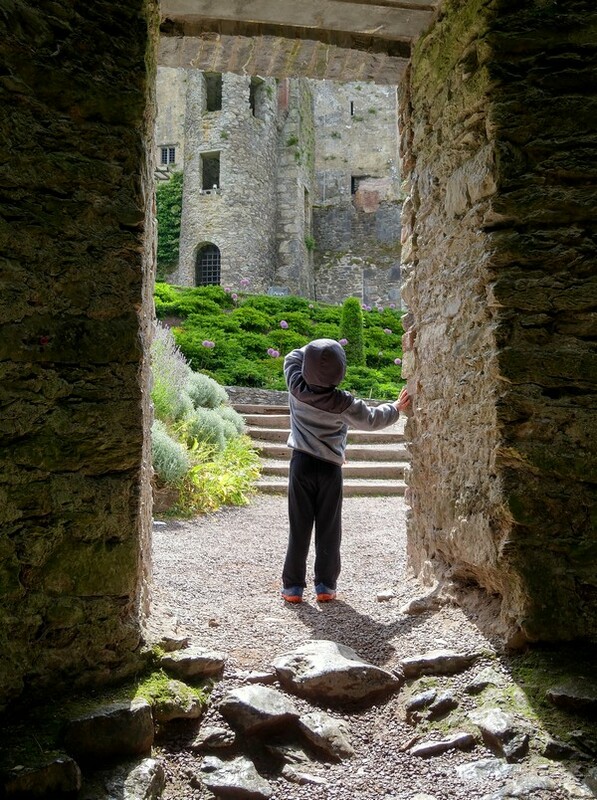 Fortunately, the grey gloomy Irish skies parted during our visit to Cahir Castle. It was nice to finely take some photos with a little blue sky! 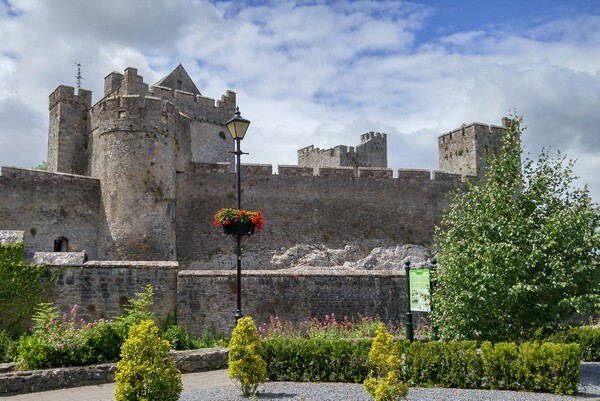 After spending a few hours in Cahir we decided there wasn’t enough time to visit the Rock of Cashel, so we missed it for a second time. Doh! I guess it just wasn’t meant to be. Instead, we pushed on to Limerick. 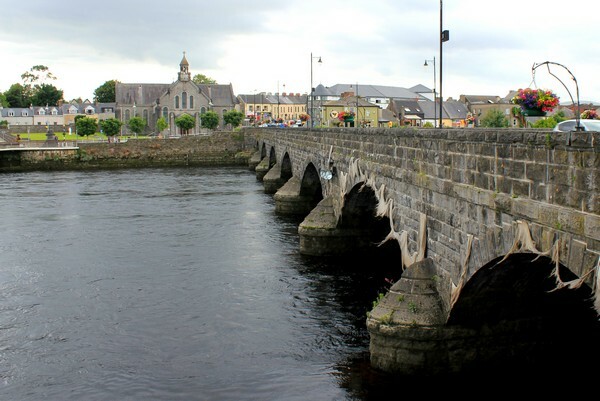 We arrived in Limerick around 4:00 PM, which is the WORST time to arrive in a new city, especially a congested city like Limerick. We spent the better part of an hour circling around the downtown area in search of our hotel. The traffic and one way streets were frustrating, to say the least. There may have been some shouting and fist shaking. Our one night in Limerick fell on Cameron’s birthday, so we ventured into the city to find a place to celebrate. It was a Friday night, so most of the recommended restaurants were already full. We stopped into a pub for a quick pint of Guinness and then found a great little Indian-Malaysian fusion restaurant. It was a fun evening. 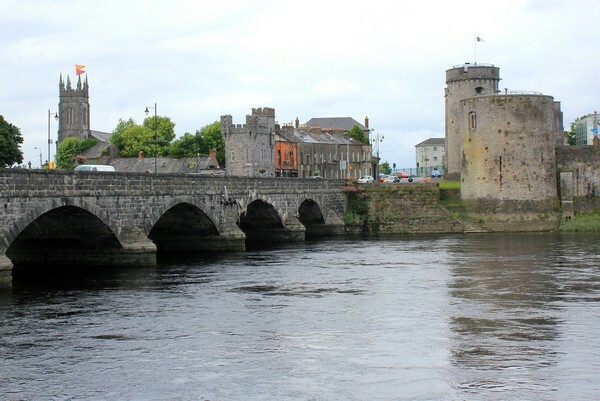 Aside from our celebratory dinner and an evening stroll around the city, we didn’t really do much in Limerick. 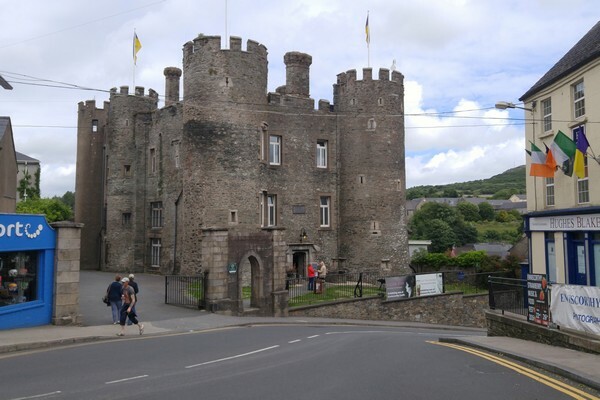 The star attraction is King John’s Castle (pictured below), a 13th-century castle located on King’s Island. 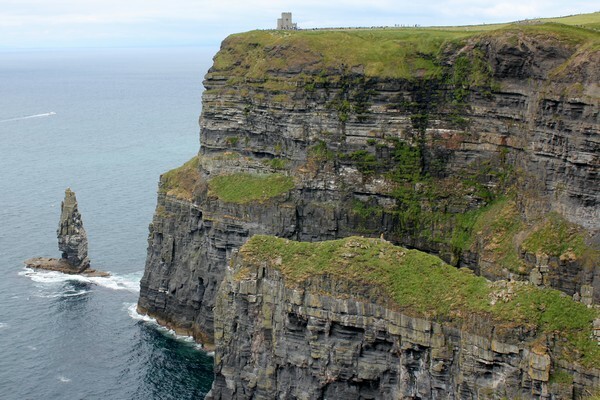 We left Limerick shortly after breakfast and set our eyes on the Cliffs of Moher, one of the (if not THE) main attractions on our Ireland road trip. It did not disappoint! We plan to dedicate a separate post to these mighty sea cliffs, so check back in a couple days. In the meantime, here are a few photos. MIND BLOWN! We left the Cliffs of Moher and headed north along the Wild Atlantic Way towards Galway City, our final destination for the day. 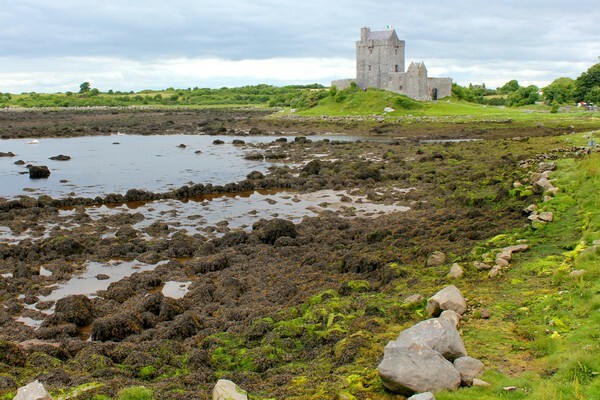 The views and landscapes on the south side of Galway Bay are simply spectacular. 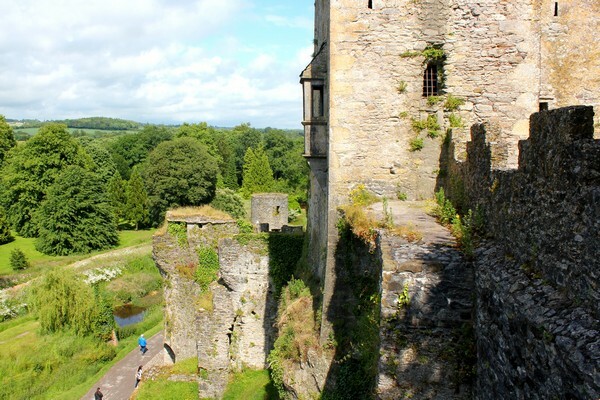 Rolling green hills, stone-walled twisty roads, dramatic sea cliffs, and, of course, ancient castles. Although we didn’t get the bright blue skies we had hoped for, the moody grey clouds created a dramatic atmosphere. 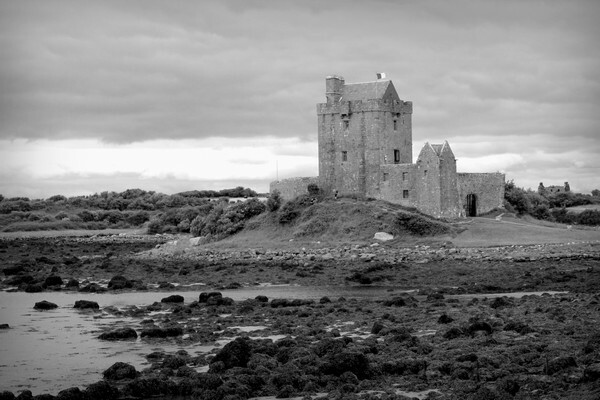 Another highlight from our jaunt along the east coast was Dunguaire Castle (pictured above and below), a 16th-century tower house on the southeastern shore of Galway Bay in County Galway. 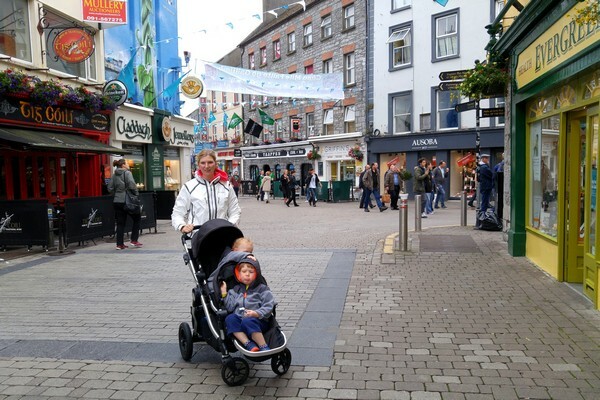 We dedicated a full day to Galway City but our sightseeing plans were dampened by more rain. 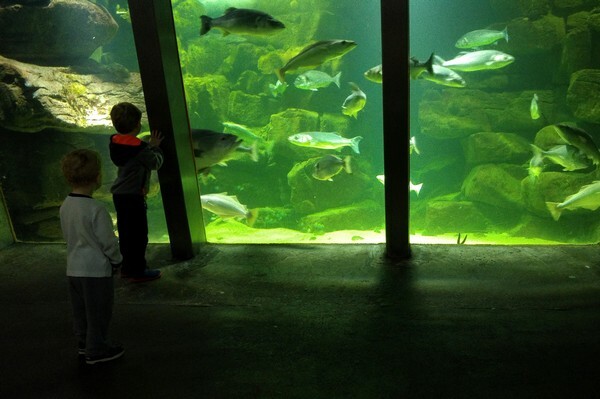 We decided to escape the rain and visit Galway Atlantaquaria, Ireland’s largest Native Aquarium. 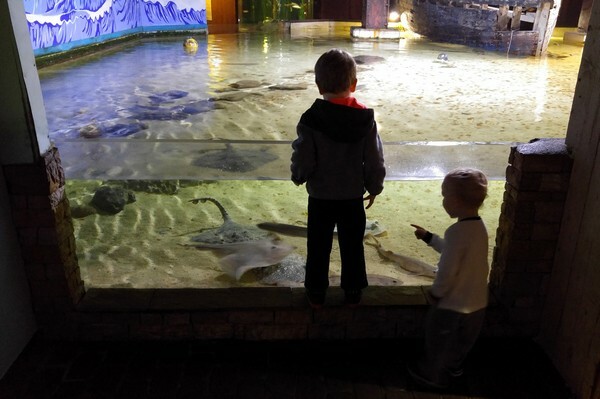 It’s not a very big aquarium but it has plenty of exhibits to keep the little ones entertained. 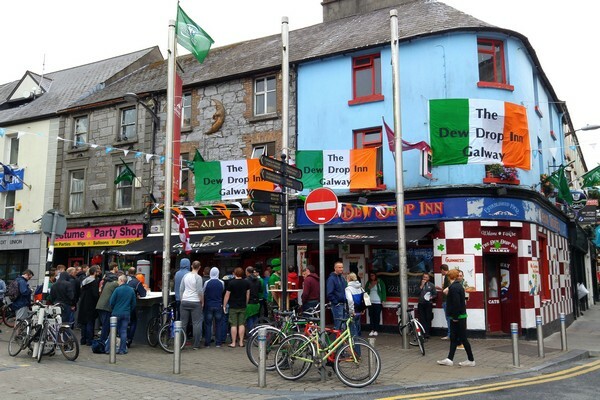 During our visit to Galway, the Republic of Ireland national soccer team played France at the Euro 2016 tournament. Irish fans literally spilled into the streets to watch the game. It was so much fun be a part of the fan-sanity. It’s not every day you get to be in a country while its national team competes on the world stage. 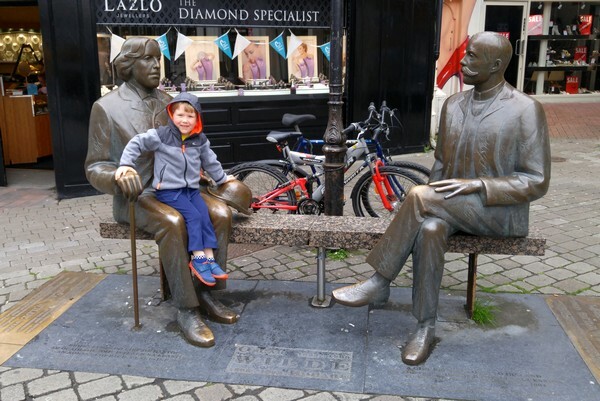 Braydon turned into a statue fanatic on this trip to Ireland. Every time we passed a statue he wanted to climb on it and have us take his photo. Above is Braydon sitting on Oscar Wilde’s lap. 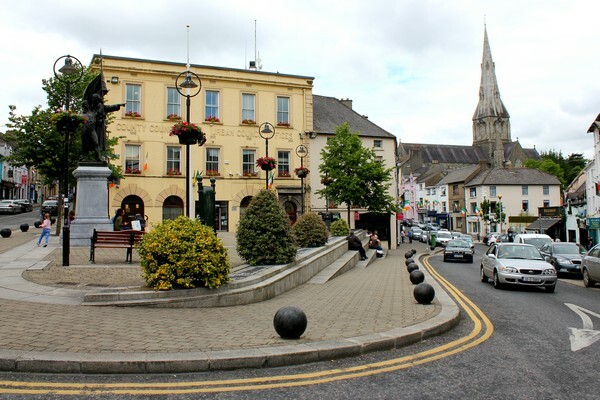 We left Galway City and traveled north to County Sligo. We contemplated driving the scenic coastal route along the Wild Atlantic Way but thick storm clouds scared us away. It was the right call. Within minutes we were driving through torrential rain. The scenic drives along the coast are quite windy and slow, which can add several hours to the drive. 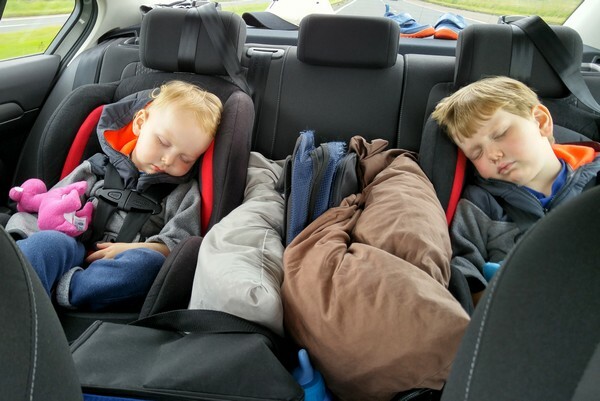 Our boys are pretty good in the car for a couple hours, but asking them to spend full days stuck in a car seat is a dangerous game. 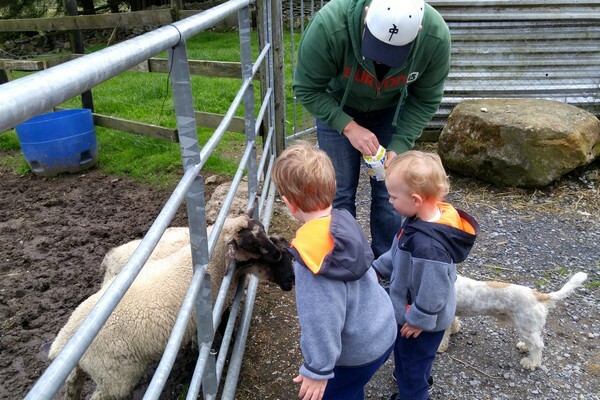 We picked up a brochure at our hotel that advertised the Kiltimagh Pet Farm as a top family attraction in the region. It’s located about half way between Galway and Sligo so we decided this would be a good activity to break up the day. It’s a small family run farm that’s not easy to find, but it has a surprisingly diverse range of animals, including a coatimundi, llama, kangaroo and bearded dragon. 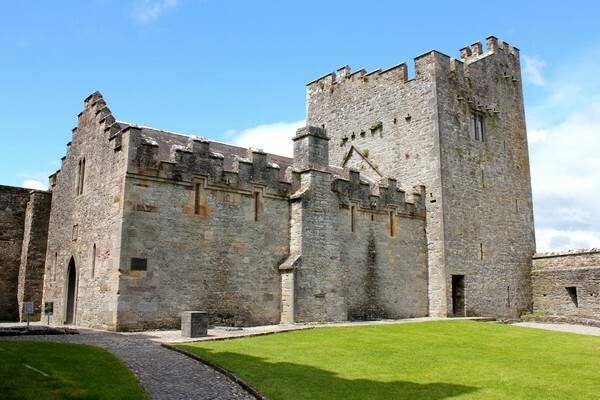 A highlight from our time in Sligo was exploring the Sligo Abbey, a ruined abbey originally built in 1253 and restored several times over the years. 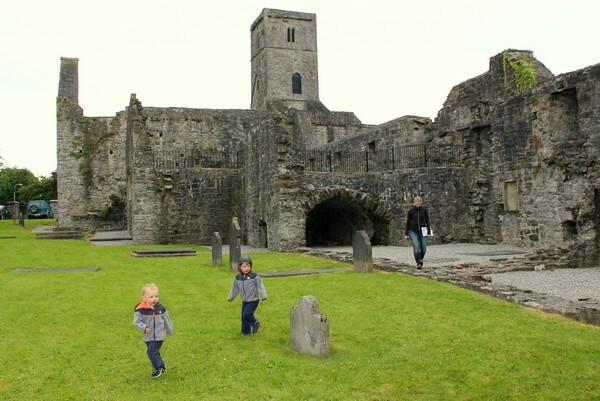 The boys had fun running around the grounds and pretending they were brave knights fighting the ghosts that lived in the shadows of the ancient stone buildings. 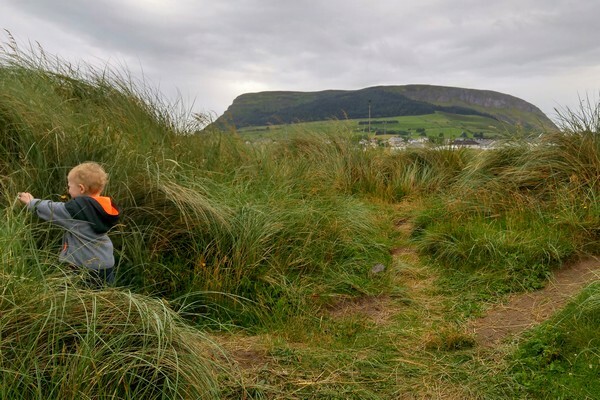 After visiting Sligo Abbey we headed towards Strandhill, an Atlantic facing coastal village located 5 miles west of Sligo. Surprise, surprise… the rain returned. 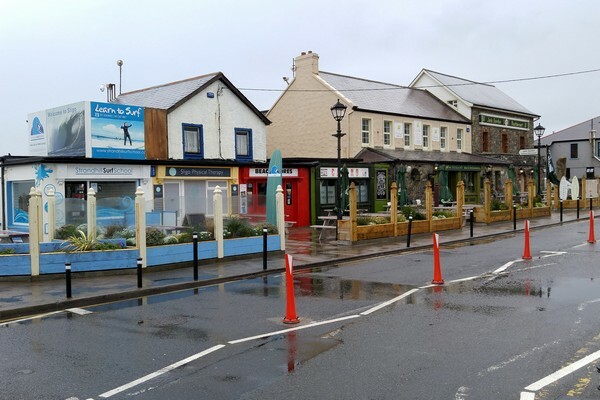 Fortunately, Strandhill is home to Mammy Johnston’s Ice Cream Parlour. We sampled some tasty homemade ice cream and sipped on hot cafe lattes while we waited for the annoying rain to stop. The good thing about the Irish rain is that it doesn’t last long. 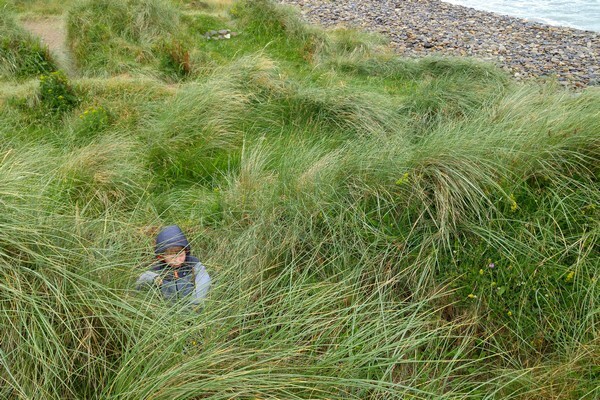 Once the rain stopped, we decided to explore the tall grassy sand dunes on the beach. 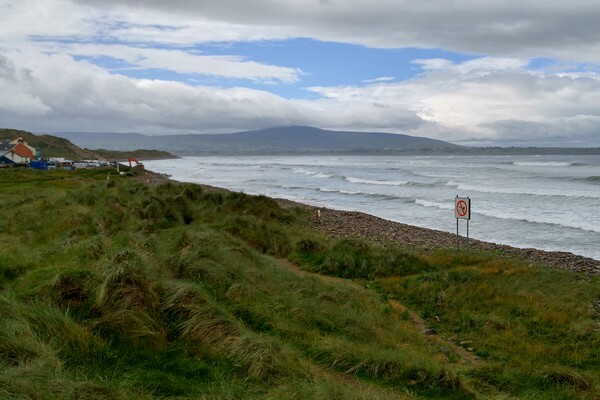 The beach at Strandhill in County Sligo. 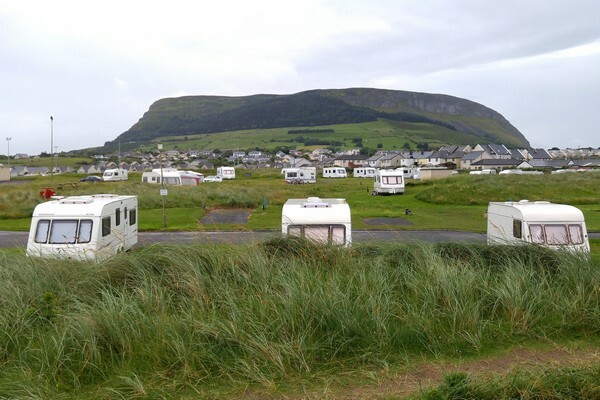 The mountain above is called Benbulbin. 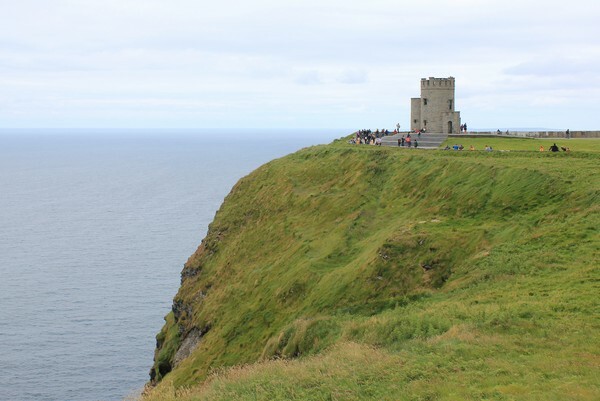 Many refer to this giant rock formation as Ireland’s version of Table Mountain. 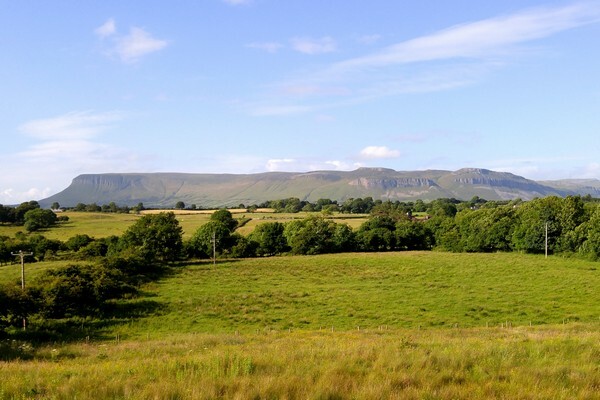 We captured this awesome panoramic view from our hotel in Sligo. We planned to visit the mountain the following morning but, surprisingly, it was pouring rain during the time we had dedicated for a visit. So we hit the road and made our way to Northern Ireland instead. 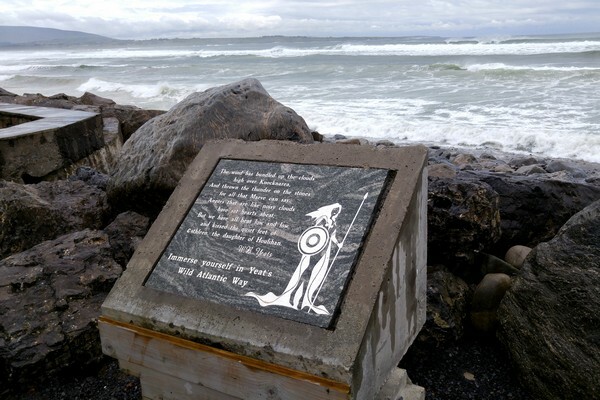 We left Sligo and traveled north along the Wild Atlantic Way towards Donegal. 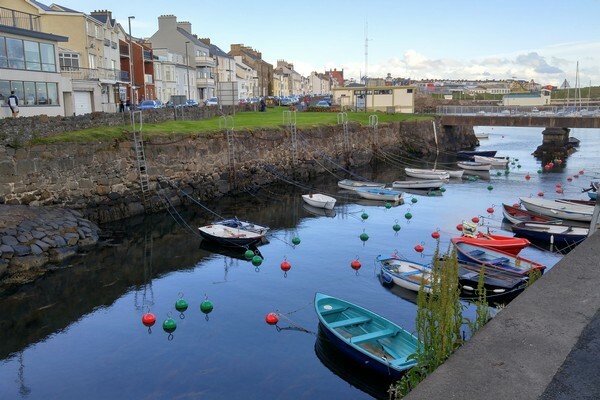 Our goal for the day was to reach the seaside town of Portrush in Northern Ireland. 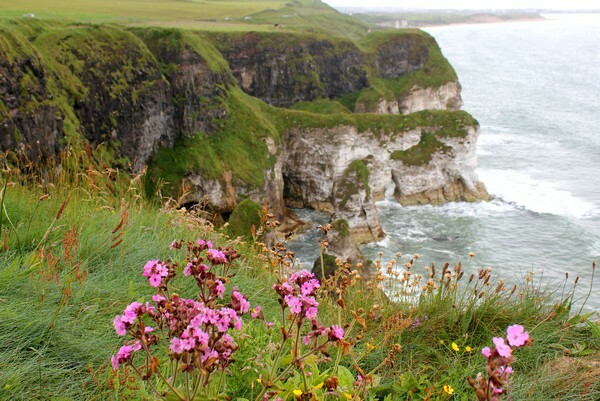 Once we got driving, we decided to push hard to Portrush and avoid making stops along the way. We actually didn’t realize we had entered into Northern Ireland until we passed a speed limit sign that had switched to Miles per hour. 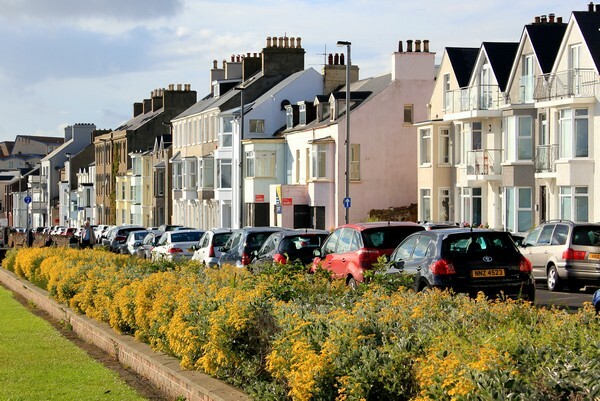 The landscapes and towns look similar, though it was quite evident that Northern Ireland has experienced better economic conditions in recent years. 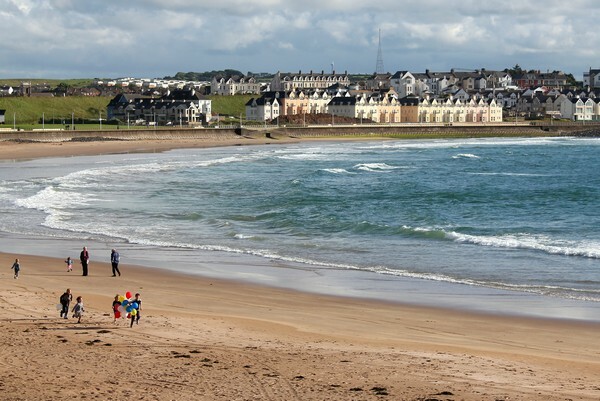 We reached Portrush in good time (about 3.5 hours from Sligo), which gave us the opportunity to find a hotel and explore the town. 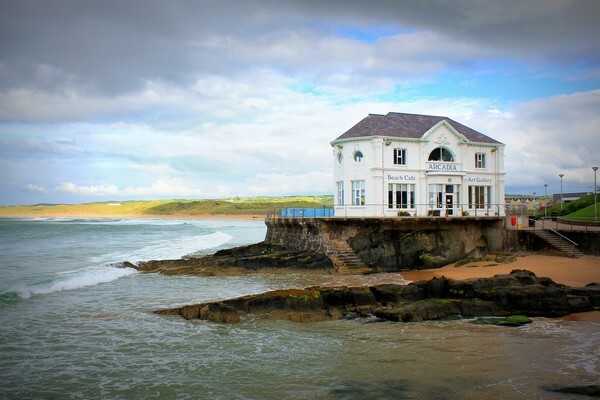 We instantly fell in love with Portrush and were glad we made this last minute addition to our road trip itinerary. Can you spot the lost balloon bouquet? 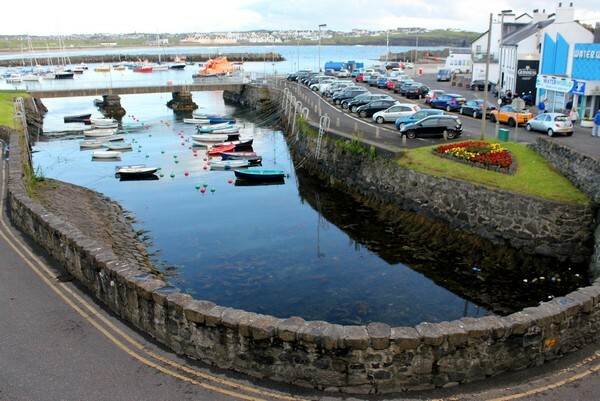 The old Portrush Harbour and marina, said to date back as far as the 13th century. 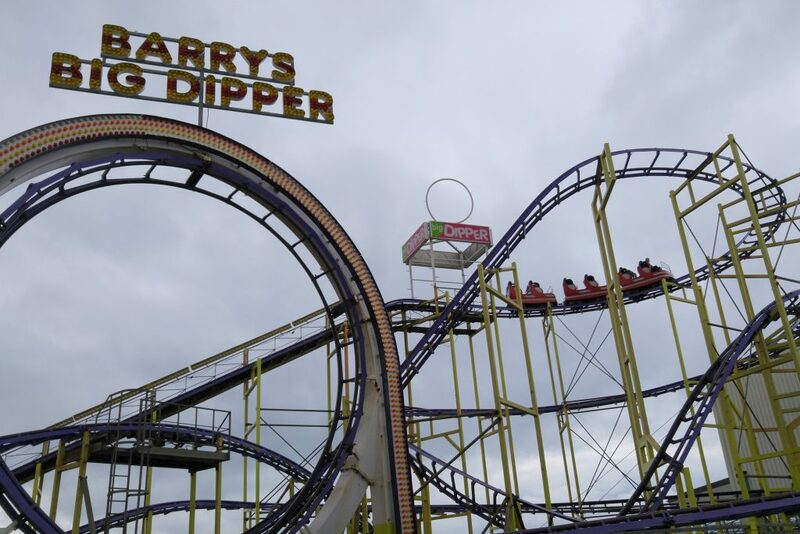 One of the first things we noticed when we pulled into Portrush, aside from its obvious charm, was Barry’s Amusement Park. It’s hard to miss. This historical amusement park, the largest theme park in Northern Ireland, first opened it’s doors in 1926 and it still has that 1950’s vibe. After days of sitting patiently in their car seats, our boys had earned a few hours of rides and games. 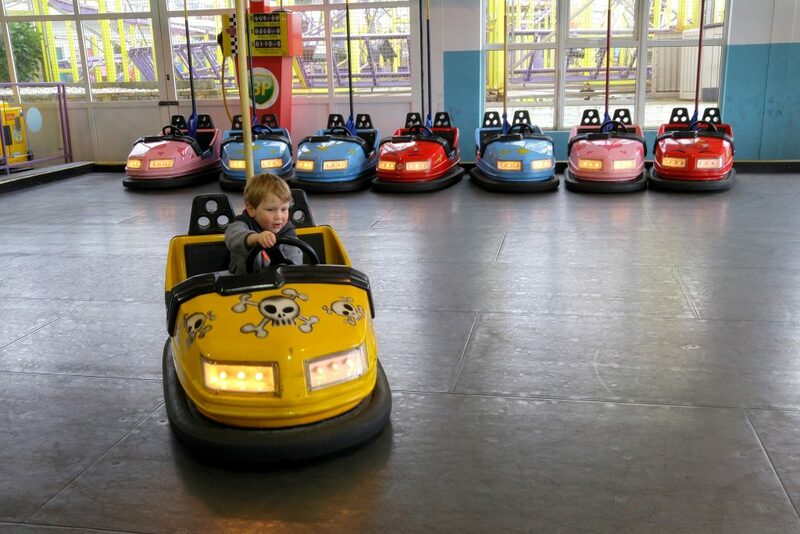 The park has small bumper cars that are perfect for little guys to learn how to drive. Braydon took a turn driving EVERY car. He had never been in a bumper car before but quickly got the hang of it. 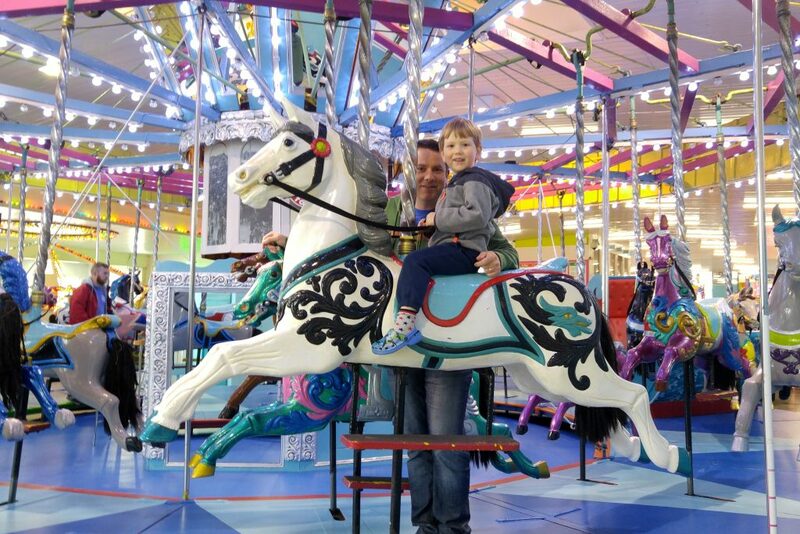 We arrived at Barry’s Amusement Park just as it opened, so we practically had the entire place to ourselves for the first hour. That’s Nicole in the front seat of train on Barry’s Big Dipper. She’s the only one on the train. It’s not a huge roller coaster, but it’s got some kick to it. 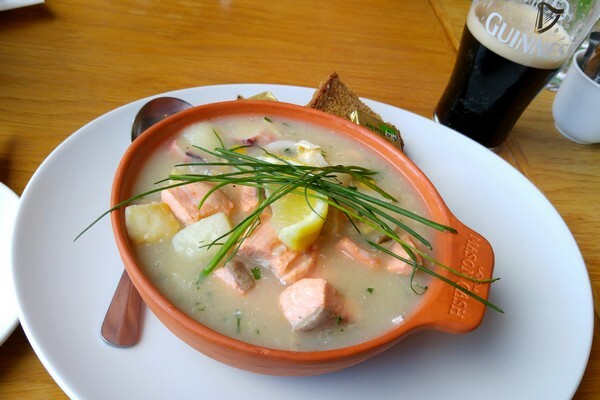 Simple, yet one of my most memorable meals on our Ireland road trip – fresh seafood chowder with homemade soda bread and a pint of Guinness. 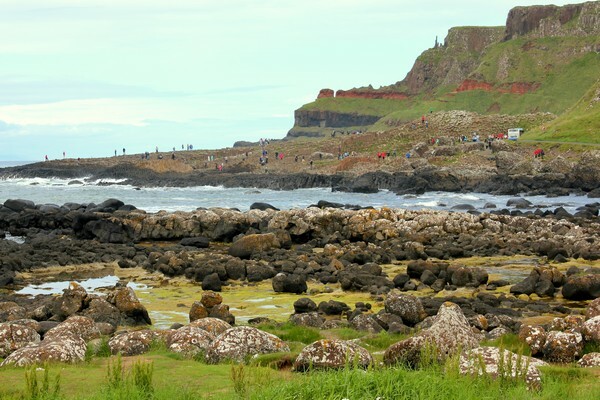 After exploring the town of Portrush we jumped in the car and traveled along the spectacular Causeway Coastal Route towards the world famous Giant’s Causeway. 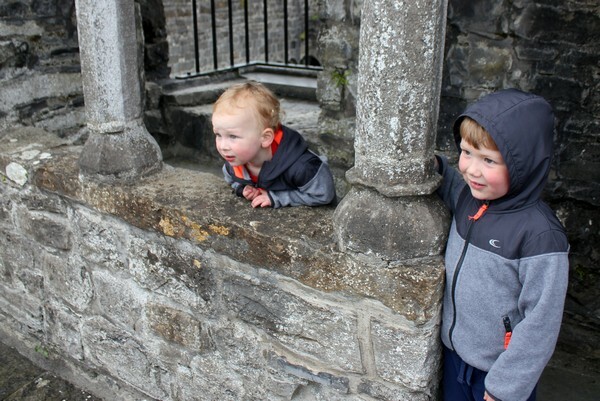 It was an instant favorite and remains as one of the top highlights from our Ireland road trip. We did very little research on Northern Ireland because we weren’t entirely sure it was going to make the final cut. We had played with the idea of taking the ferry to Wales or the Aran Islands, so we hadn’t committed to visiting Northern Ireland. 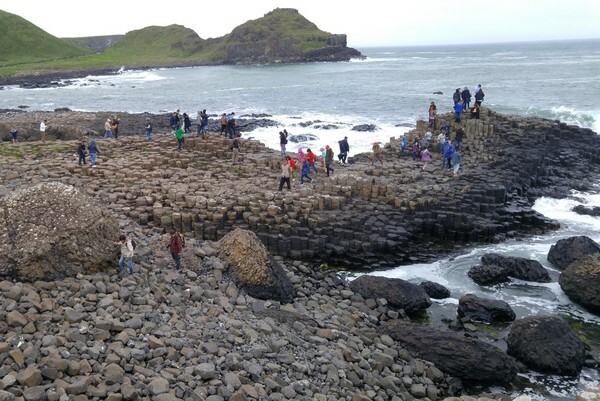 Everyone we spoke with seemed to rave about the Giant’s Causeway and the landscapes along the northern Coastal Route, so we decided to take their advice. Boy were we glad we did! 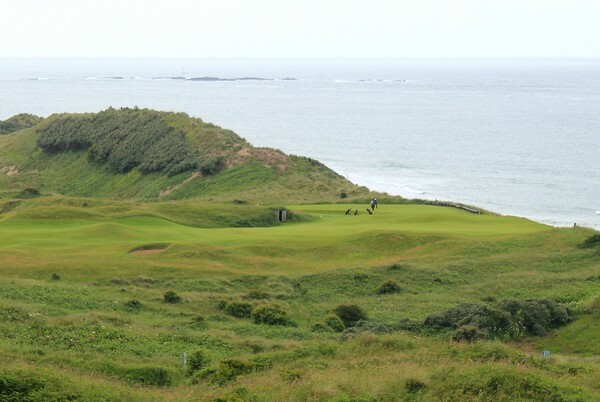 This is the legendary Royal Portrush Golf Club, a private course that has hosted the Open Championship, the oldest of golf’s major championships. How awesome would it be to play a round of golf there?! 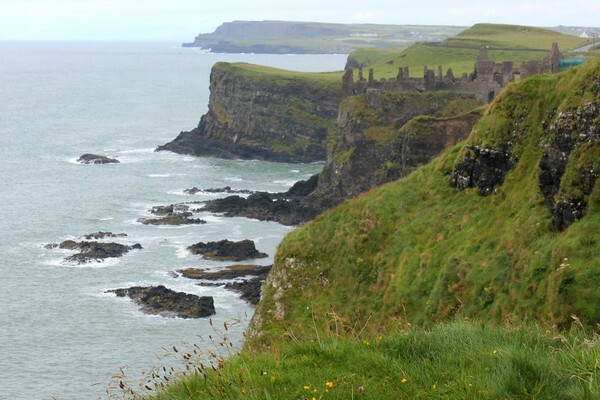 This is Dunluce Castle, a medieval ruin perched on a cliff overlooking the Atlantic. 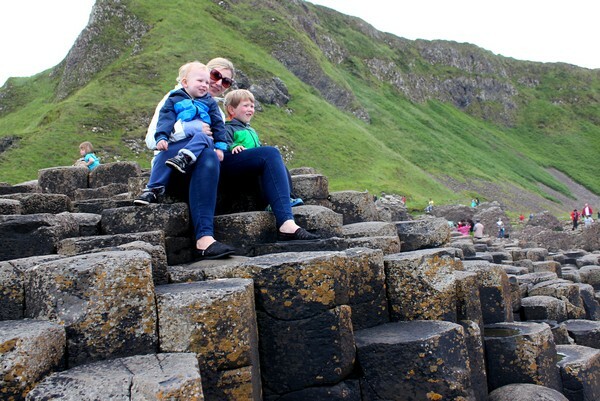 The Giant’s Causeway is a place of remarkable beauty and myth. 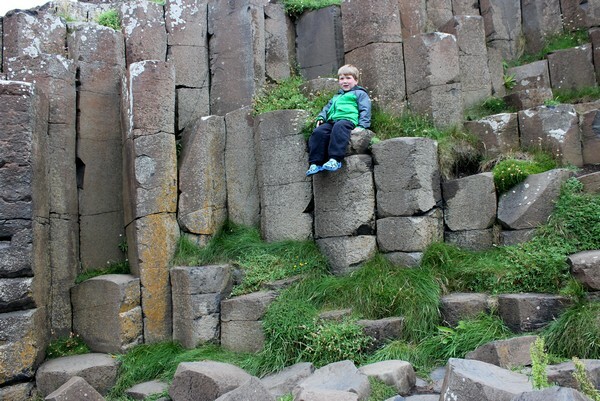 An ancient volcanic eruption produced thousands of these basalt columns that look like stepping stones. 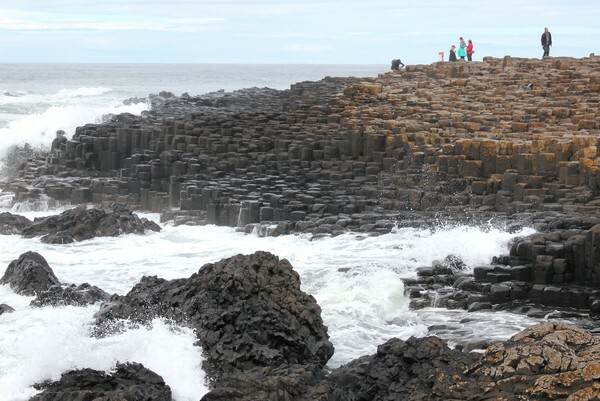 According to legend, these unique basalt columns were built by a mythical Irish giant so that he could create a causeway across the North Channel to battle a Scottish giant. The surrounding landscapes are equally impressive. The colour contrasts of orange, green, yellow and black make for a truly unique environment. 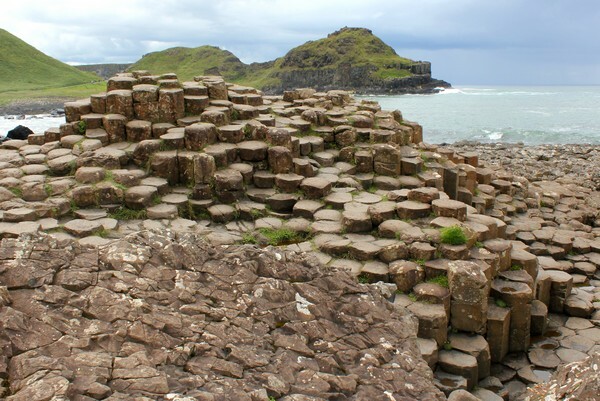 It’s easy to understand why the Giant’s Causeway was declared a UNESCO World Heritage Site in 1986. 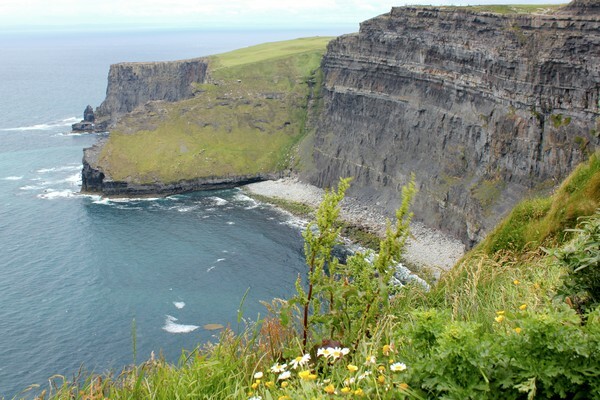 And, it must be said, the huge sea cliffs on the northern coastal route will easily rival the Cliffs of Moher on the west coast. If you have the time, both should be on your Ireland road trip. 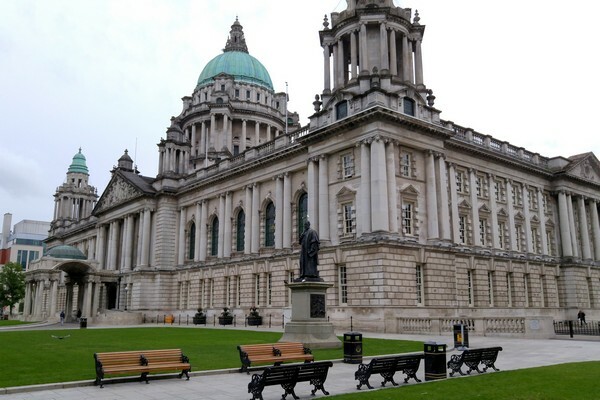 Our road trip continued south to Belfast, the capital of Northern Ireland. 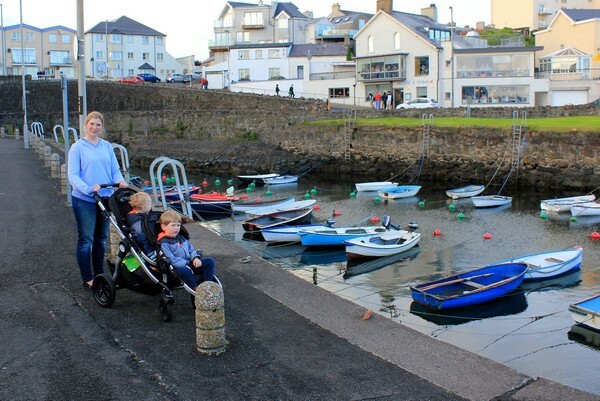 We planned to visit a few more spots on the Causeway Coastal Route before reaching Belfast, but our boys had other plans. They wanted to spend more time playing games at Barry’s. We are nothing if not adaptable! We arrived in Belfast early afternoon and checked into the iconic Hilton Belfast. 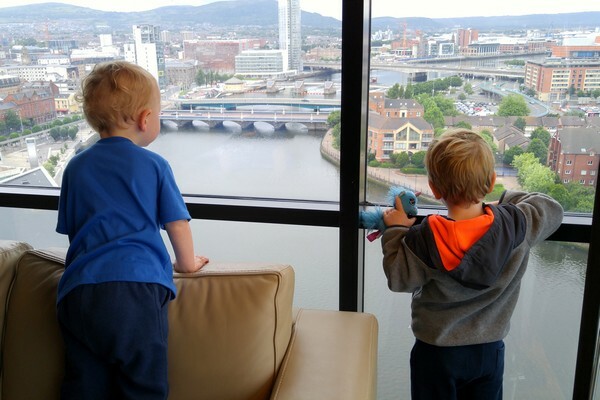 We were treated to a swanky room upgrade with outstanding views of the River Lagan. The room was so spacious and comfortable that we contemplated staying in the room for the rest day. We did a little sightseeing and had dinner at the lovely Robinson & Cleaver Restaurant, located across the street from the Belfast City Hall. 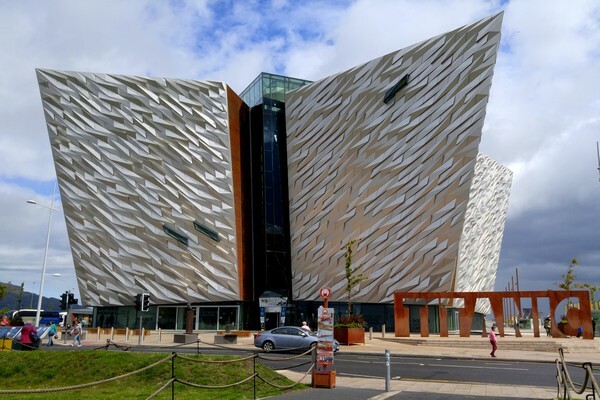 Before departing Belfast for Dublin, we spent the morning exploring Titanic Belfast, a monument to Belfast’s maritime heritage located on the site of the former Harland & Wolff shipyard where the RMS Titanic was built. Two weeks driving around Ireland wrapped up in one post. We’ll be sharing more stories from this trip over the coming weeks, including things we learned and travel tips. If there’s something specific you’d like us to write about, or if you have a question, leave us a comment and we’ll do our best to accommodate. Dublin was a nice place, but I really enjoyed Cork last time I was in Ireland. That was definitely one of my favorite places in the country. Such a beautiful countryside. 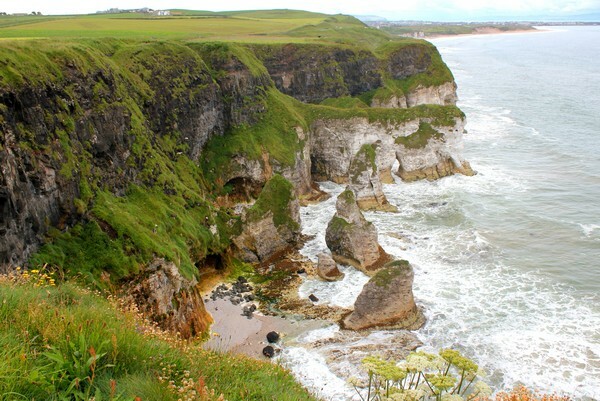 I haven’t made it up to Northern Ireland yet, but it looks amazing. I’ve wanted to go to Ireland for many years, but life has had other plans for me. But, during the summer of 2018 me and my then 16-year old daughter plan to go on a riding adventure on the west coast, starting in Galway. For that purpose I’ve taken up riding again 🙂 My daughter is an experienced rider already. 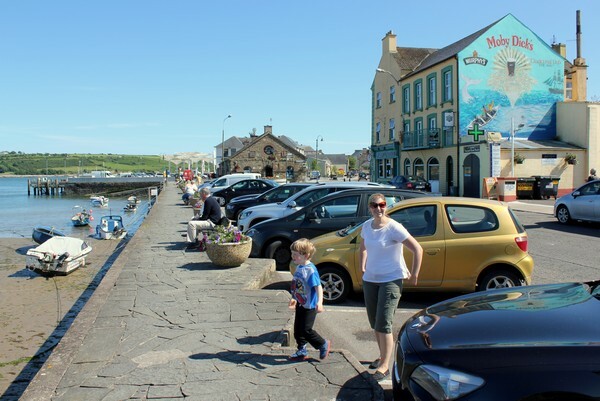 Ireland is a good place to do your first international road trip. Driving on the “other” side of the road takes some getting used to, but the road signs are in English and the roads are quite good. We ended up renting through Sixt car rentals. Everything worked out fine. No extra charges, etc. We have heard horror stories about some of the car rental companies, so do your research and make sure you get all of the necessary issuance. We got an automatic vehicle. They have less automatics in supply, so it’s best to book ahead. Agreed – we did the same. One less thing to worry about! I’ve been meaning to properly explore Ireland for a long time…and it’s embarrassing I haven’t really been there yet cos I live just across the water in Liverpool! This has helped inspire me a little bit more though. Cheers! Thanks for this blog! 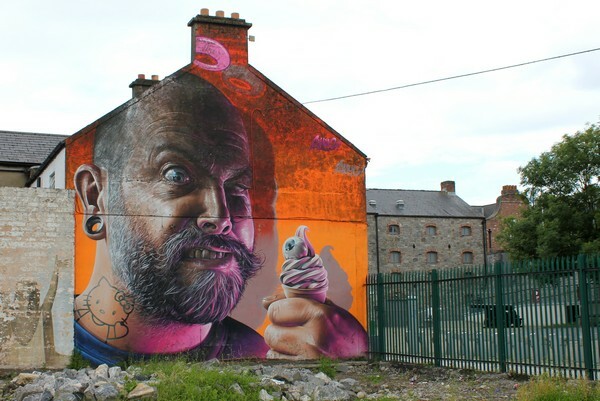 I am planning a visit Ireland very soon. I liked your photos a lot. Ireland seems a fascinating place to visit. 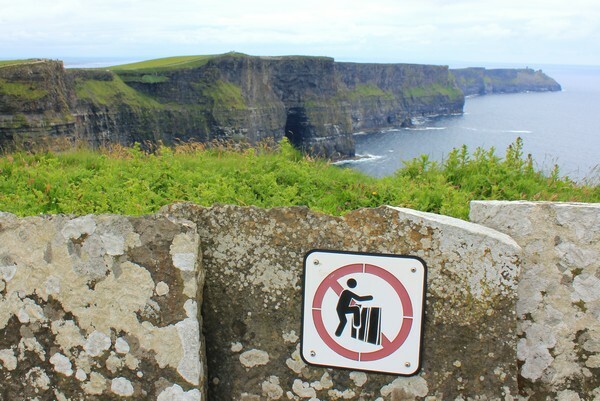 I will defiantly visit Cliffs of Moher for sure. Thanks again. Thanks! for the wonderful post. 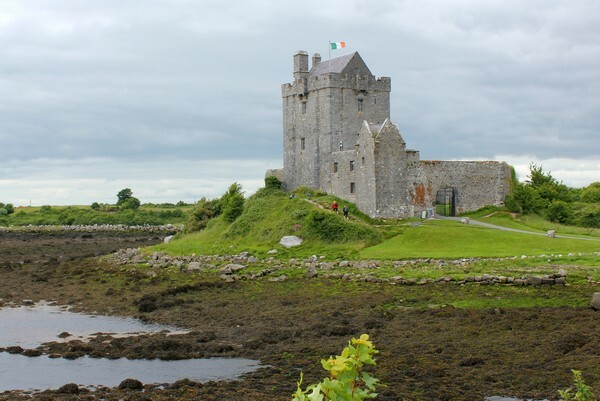 Travelers who are planning to visit Ireland will get a great knowledge by reading your blog. 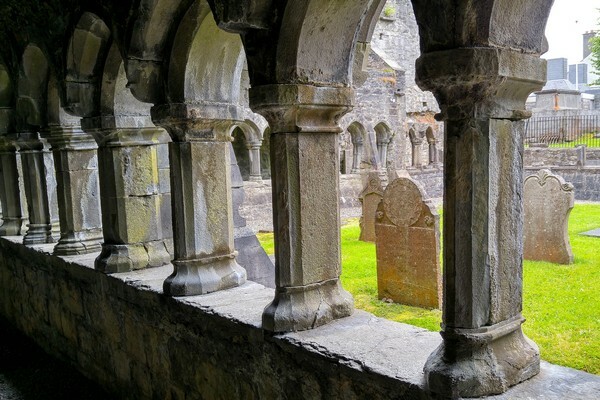 The beautiful images shown in your blog will increased their enthusiasm to visit Ireland. Loved this post too (I should be working, but its a slow Friday afternoon). It was pouring when we went to the Giant’s Causeway, so we cut it short, unfortunately. We also went to Barry’s Amusement Park. We stayed at the Europa Hotel in Belfast. It is “the most bombed hotel in Europe.” Fun little thing about our trip. I am enjoying reliving our trip with some of your photos. 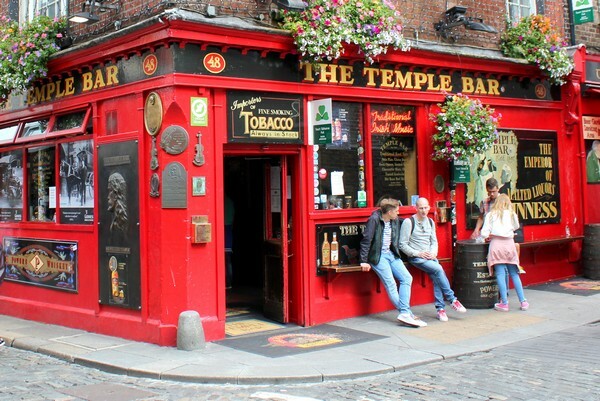 Now I need to go back and see more of the Republic of Ireland. We did okay with the weather, but it rained most of the time. I suppose that’s to be expected from Ireland!